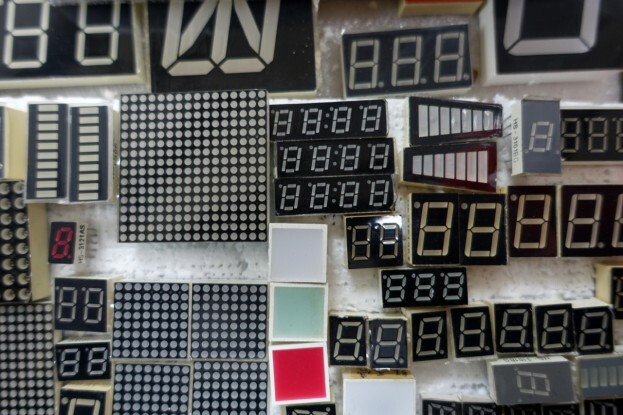 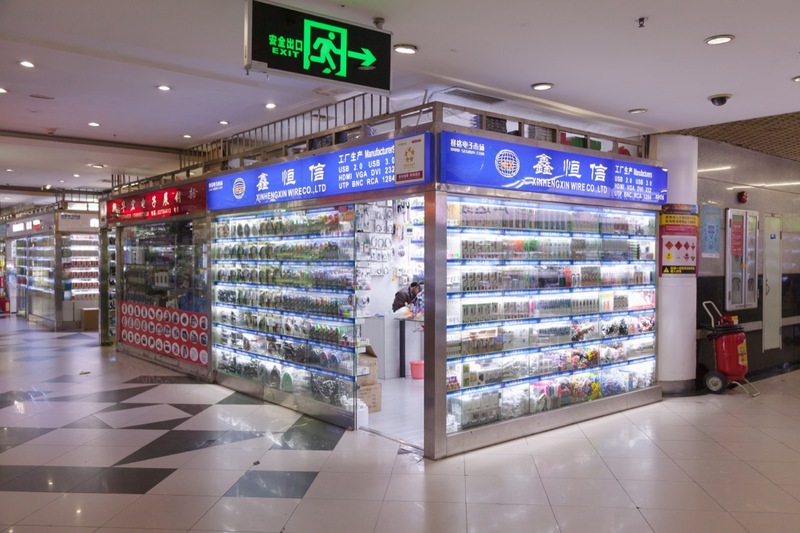 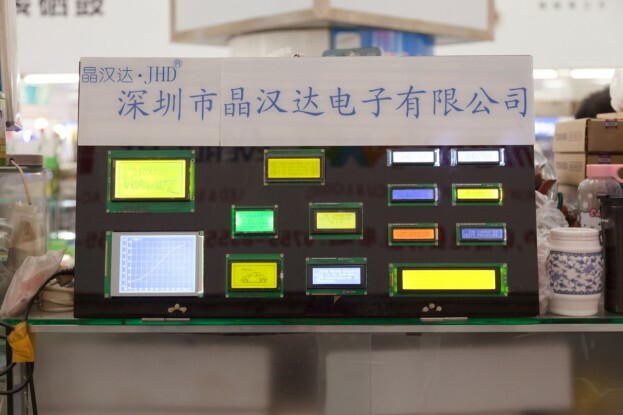 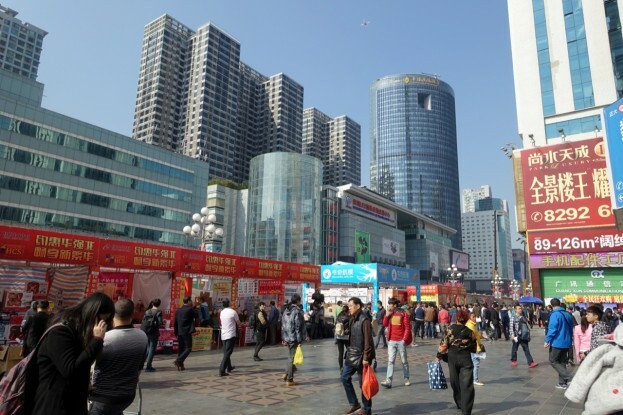 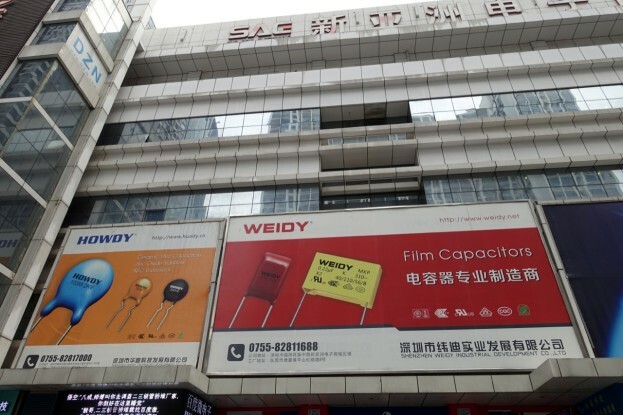 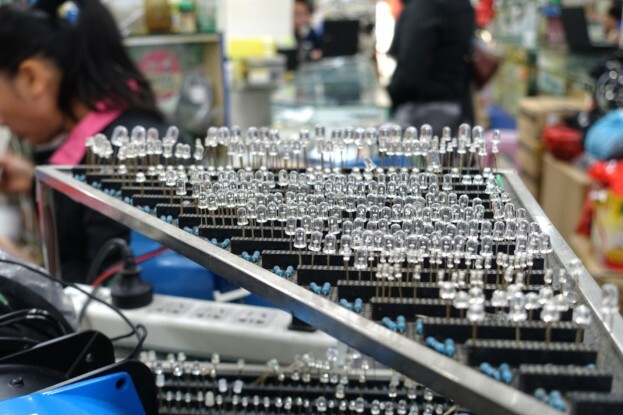 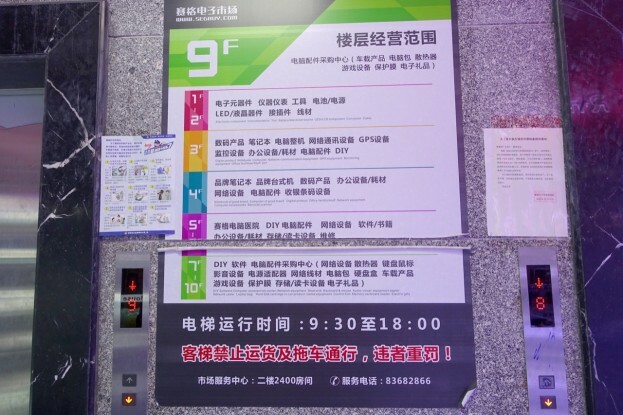 The area is reported as being the largest electronics market in China, and possibly one of the largest in the world, which stands to reason as Shenzhen is a major producer of electronics goods, and it’s a city where many big brand tech gadgets are produced. Center to the Hua Qiang Bei Electronic Market, the SEG Building on the Hua Qiang Bei Commercial Road. 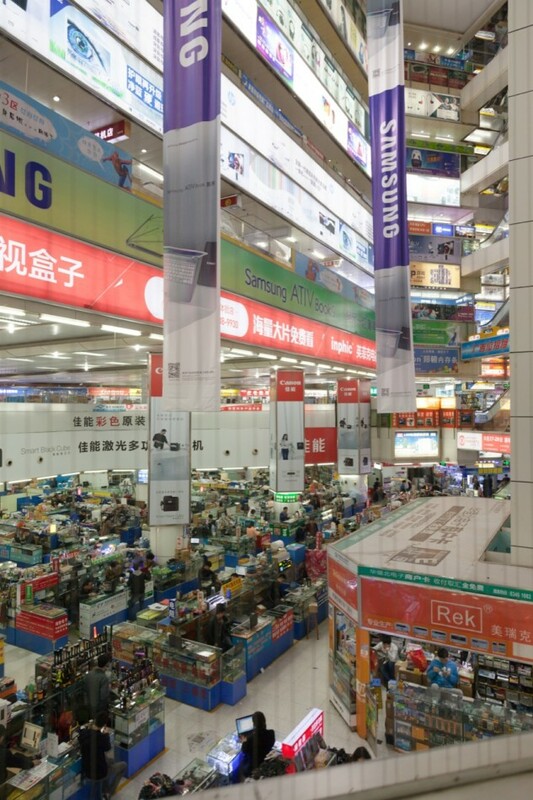 Floorplan of the SEG Building, on of the many big buildings in the Hua Qiang Bei market area. 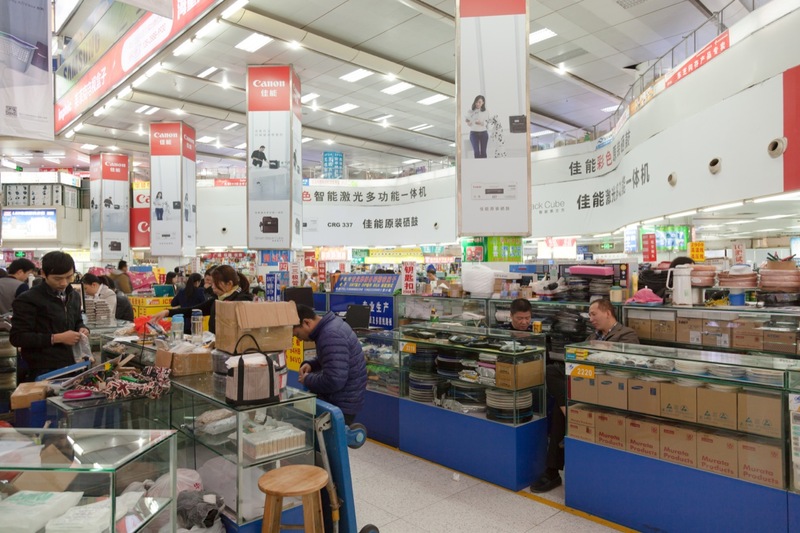 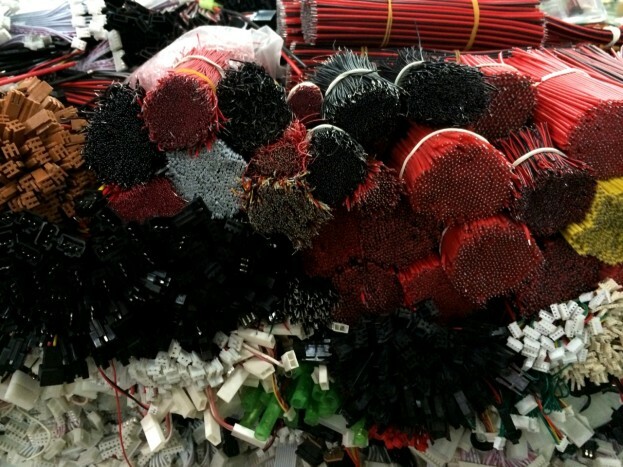 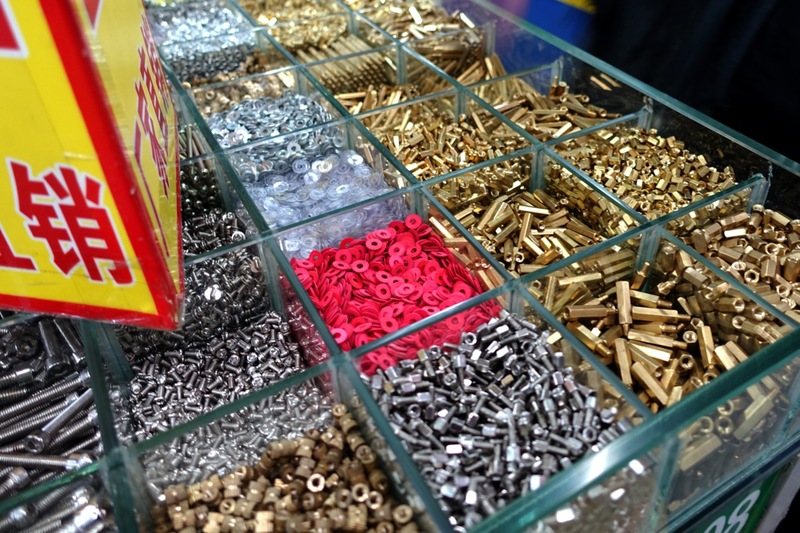 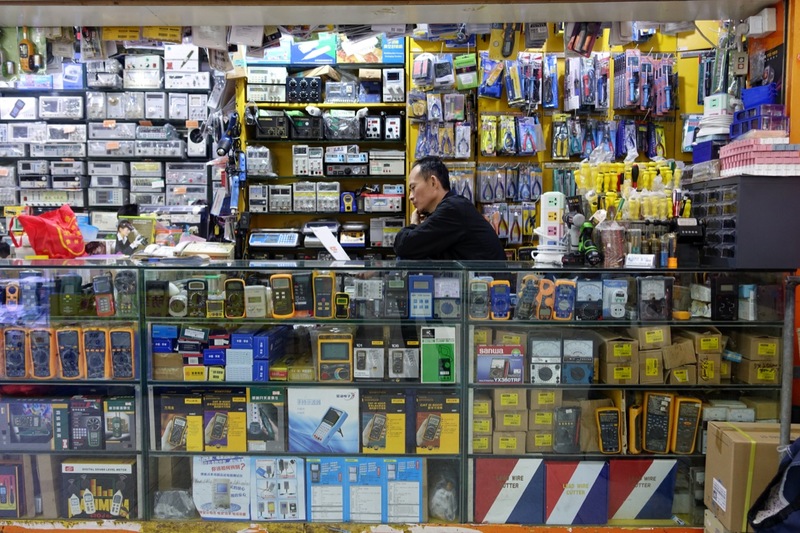 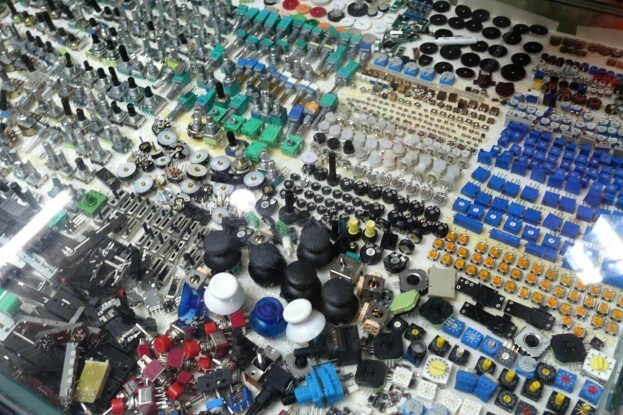 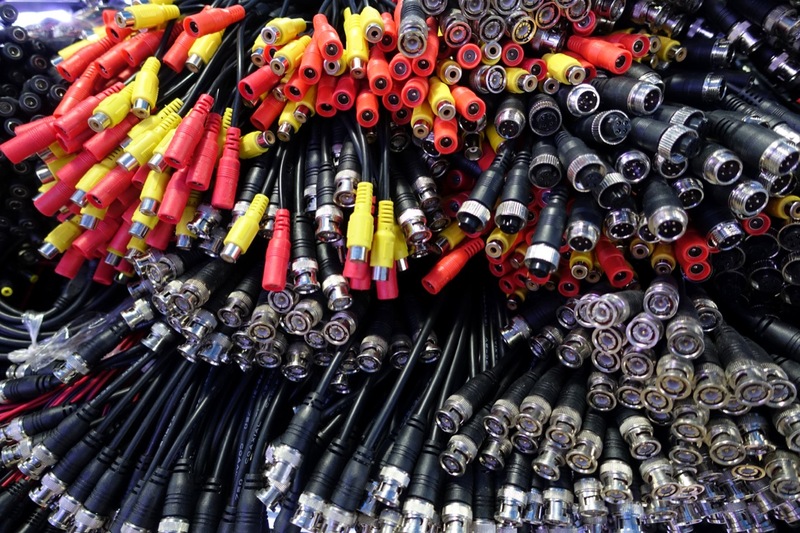 Selection of goods and components on sale at the within the electronic market area. 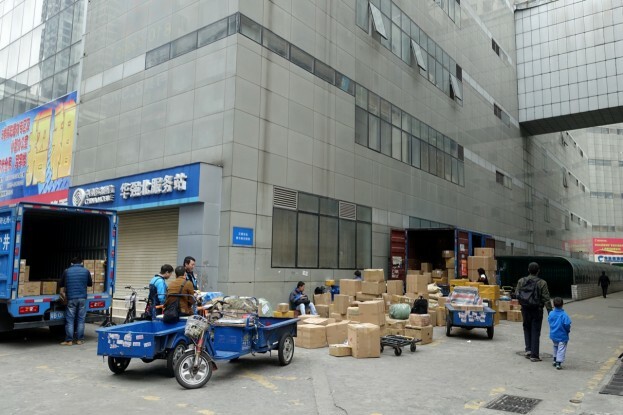 Shipping business, presumably for customers within and outside of China. 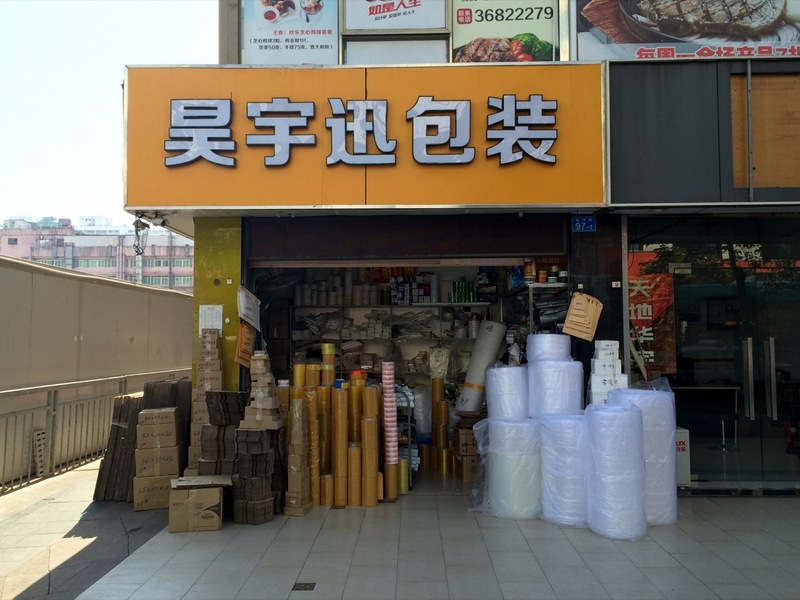 Shipping goods that have been ordered through the internet takes up a big part of the local business. Next to the goods for sale, the infrastructure for shipping is omnipresent. 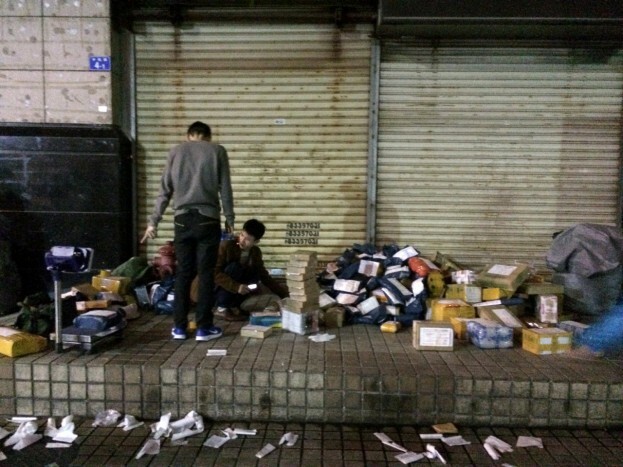 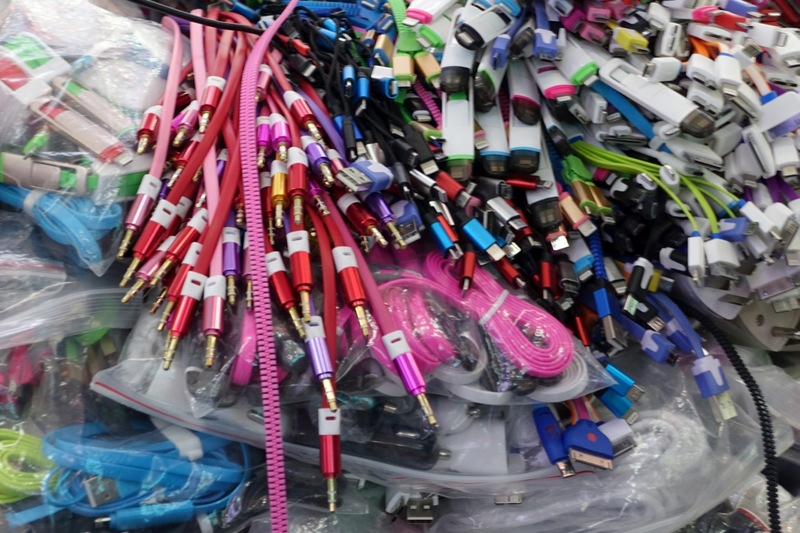 Packaging, sorting and shipping on the streets of Shenzhen.